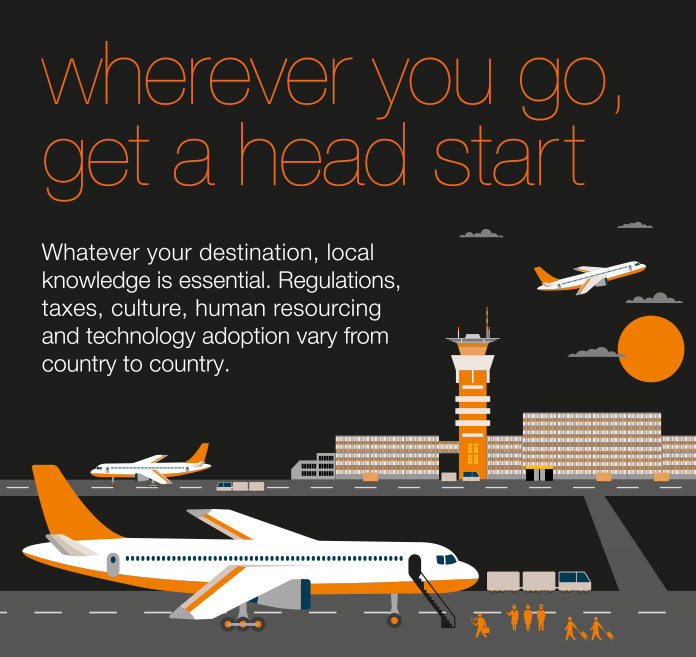 Share the post "Orange Business Services – Planet Local"
This infographic for Orange Business Services aims to help businesses with global expansion. It highlights some of the obstacles they might encounter from country to country, such as varying regulations, taxes, cultures, human resourcing and adoption of technology. A travel theme was used to illustrate the content, which was written by London-based collaborators Futurity Media. The infographic was also translated into French for the European market.